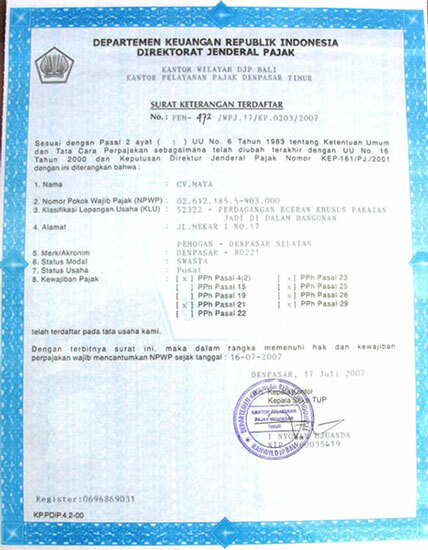 We are manufacturer of men sarungs from Indonesia. This is a traditional clothing worn by men in many part of the world, mostly in South East Asia, Africa and Middle East. This men clothing made of fabric which suitable to use day or night. Known also as kain sarung, lunghi or macawis. Handwoven sarungs using traditional tools and methods without modern machine. 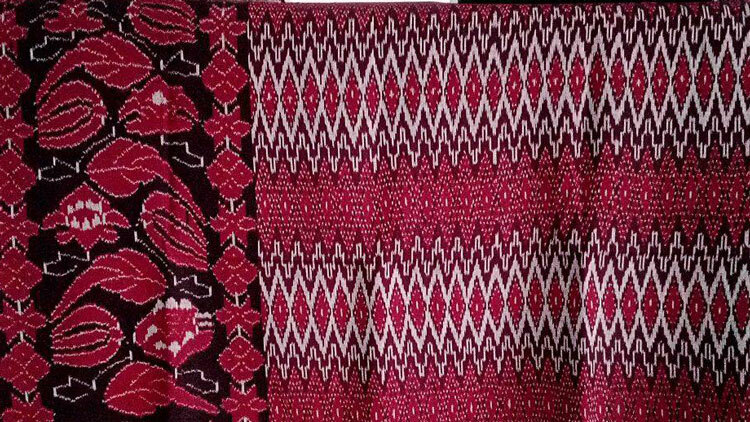 This is 100% handmade by skill sarung weavers who been making sarungs or lunghi for generations in remote villages across Indonesia archipelago. Indonesian woven sarungs are made in very lengthy process required long hours of meticulous works by skill men and women, therefore the quality is high as well price is much higher than any sarongs made using modern machines. There are at least 18 steps involved during the production of each sarungs. These traditional sarungs are very popular in Middle East or Africa especially in Saudi Arabia, Dubai, Yemen, Somalia, Djibouti and other Muslim countries. Indonesian women weaving fabric to be used as traditional men's sarung. Each sarung made in slow and time consuming process. 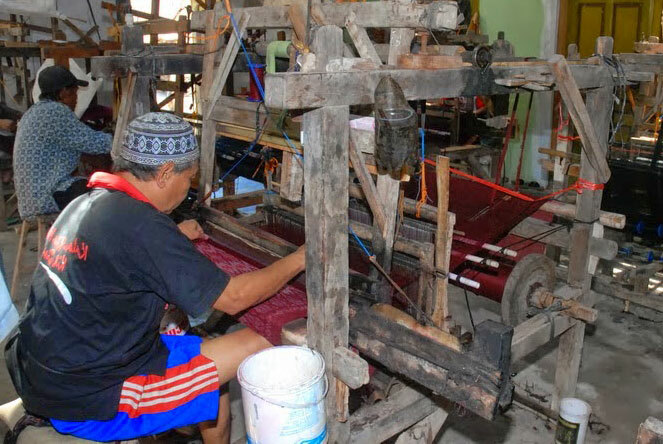 There are about 20 steps needed to make every piece of the sarung. Handmade sarung from Indonesia. Tube shape textile worn by men in South East Asia, Middle East and Africa. Traditional clothing made in Indonesia. Mostly handmade with no modern machine involved during the production of these men sarungs. 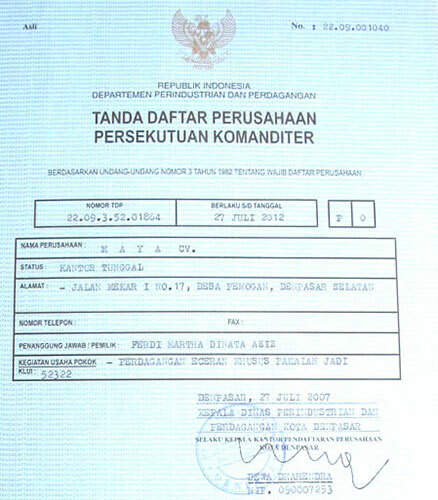 Men sarung made in Indonesia. Handwoven by skill weaver in remote villages in Indonesia. We have various motifs for these handmade sarungs. 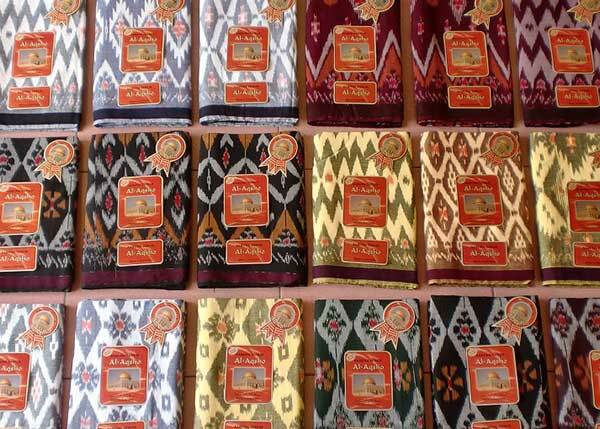 Color also vary, we have wide range of colors and motifs available for you to choose when ordering our sarung for men. www.BatikSarong.com CV MAYA from Bali Indonesia.Tax id: 02.612.185.5-903.000. Vibrant color sarongs with smooth fabric. Sarongs factory in Bali Indonesia. Manufacturer and exporter of batik sarongs pareo. Wholesale only. Feather and Sea Shells Accessories Bali Indonesia. 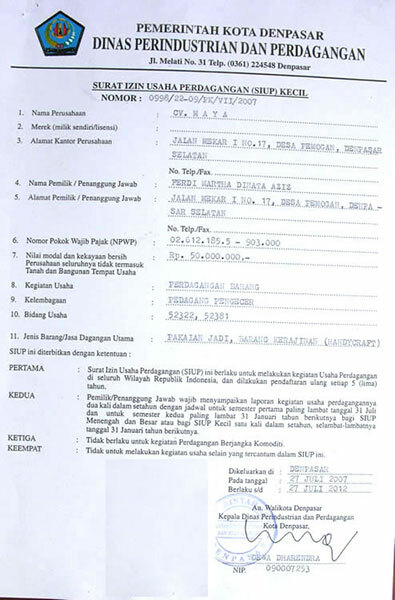 Contact us by email or WhatsApp +6281353357458. Place your order for our Bali sarongs on our shopping site.